Bazzite: Mineral information, data and localities. Deep blue or other shades of blue, blue-green. 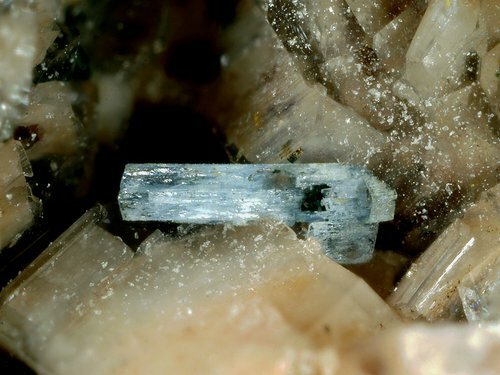 Named in 1915 for Alessandro Eugenio Bazzi (1892-1929), discoverer of the mineral. The scandium analogue of Beryl. Typically found as small to tiny hexagonal crystals with a deep blue or blue-green color. Hard to distinguish from beryl. Taran et al. (2017) report few chemical varieties, slightly differing in Fe admixture content (Telemark, Norway) and Fe (up to 6.73 wt.% FeO), Mn (up to 2.98 wt.% MnO), Mg (up to 1.86 wt.% MgO) and Al admixture/content (Kent, Kazakhstan). The oxidation state of Fe is variable. The presence of water molecules trapped in structural channels was confirmed, the molecules being always located between or near to the 6-membered rings having Na atoms in their centres. Quartz 9 photos of Bazzite associated with Quartz on mindat.org. Bertrandite 8 photos of Bazzite associated with Bertrandite on mindat.org. Aeschynite-(Y) 5 photos of Bazzite associated with Aeschynite-(Y) on mindat.org. Albite 5 photos of Bazzite associated with Albite on mindat.org. Adularia 5 photos of Bazzite associated with Adularia on mindat.org. Muscovite 4 photos of Bazzite associated with Muscovite on mindat.org. Orthoclase 4 photos of Bazzite associated with Orthoclase on mindat.org. Hematite 3 photos of Bazzite associated with Hematite on mindat.org. Stilbite subgroup 2 photos of Bazzite associated with Stilbite subgroup on mindat.org. Chabazite 2 photos of Bazzite associated with Chabazite on mindat.org. American Mineralogist (1955): 40: 370. American Mineralogist (1967): 52: 563-564. 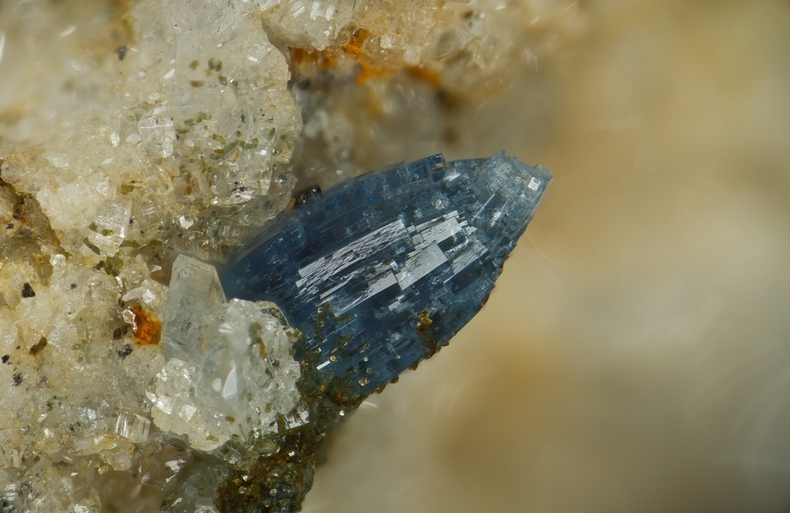 Tschermaks Mineralogische und Petrographische Mitteilungen: 35: 410-421. Gaines, Richard V., H. Catherine, W. Skinner, Eugene E. Foord, Brian Mason, Abraham Rosenzweig (1997), Dana's New Mineralogy : The System of Mineralogy of James Dwight Dana and Edward Salisbury Dana, 8th. edition: 1244. De Ascenção Guedes, R. & Devouard, B. (2011): Le Règne Minéral, 101, 5-16.; De Ascenção Guedes, R. & Devouard, B. (2012): Reicher Bazzit-Neufund in den französischen Westalpen. Lapis 37 (2), 13-16 (in German). DE ASCENCAO GUEDES R.. (2000). La Lauzière : les espèces minérales, Savoie, France. Le Règne Minéral hors-série n°6, pp.DE ASCENCAO GUEDES R. et VALVERDE J. (2000). Béryllium. Le Règne Minéral hors-série n°6, pp. 52-55. Editions du Piat. 24-39. Editions du Piat. ⓘ Petit Mont Blanc ? Bedognè, F., Campostrini, I., Demartin, F. (2011): Bazzite della Val Suella, Torre Santa Maria, Valmalenco, Sondrio. Micro, 9, 3, 122-124. Biffi, P., Sbacchi, M., Sinelli, E. (2004): Gli arseniati di Cava del Prete e altre novità mineralogiche dal granofiro di Cuasso al Monte (Varese). Riv. Mineral. Ital., 28, 4 (4-2004), 232-239; Guastoni, A., Pezzotta,F., Demartin, F. (2004): Cuasso al Monte: recenti determinazioni su esemplari del MSNM. Riv. Mineral. Ital., 28, 4 (4-2004), 194-202. Sorlini A., Del Core G. (2016): Bazzite e altri minerali negli gneiss dell'Ambin. Segnalazione dai lavori del cunicolo esplorativo della Maddalena, Chiomonte, Val di Susa. 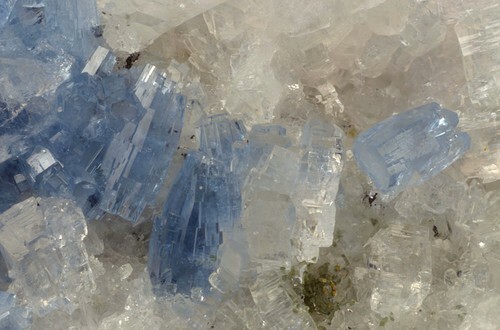 Rivista Mineralogica Italiana, 50, 2 (2-2016), 76-89. Larsen, A.O., Nordrum, F.S. & Langhof, J. (2017): Berylliummineraler fra Langøy, Kragerø. Norsk Mineralsymposium 2017: 5-15. From Richard Schooner collection, now int he Anthony J. Albini collection, personally collected by Richard and analyzed.